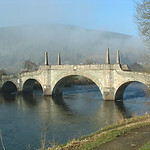 Visitor guide to enchanting Perthshire town of Aberfeldy which stands on the banks of the River Tay in the Highlands. 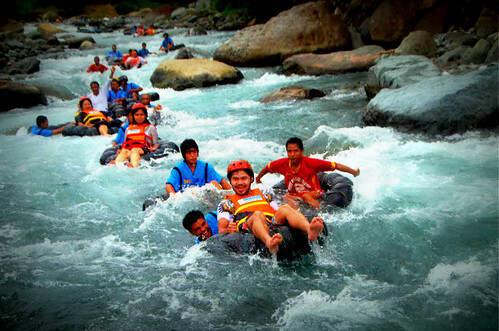 This village has gained recognition as the popular destination among kayakers. 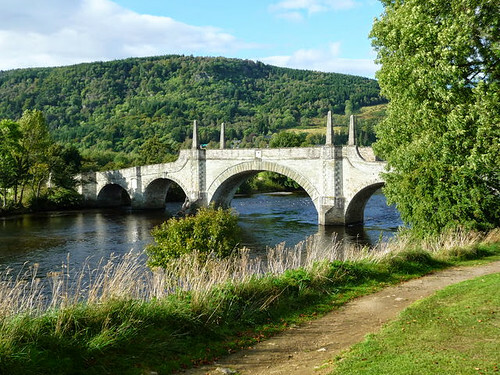 It's well placed geographically for exploring the northern part of Perthshire, though Pitlochry has better tourist facilities. 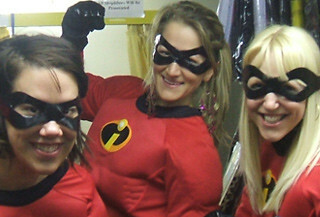 Scotland's first Fairtrade Town is one of those small villages that against the odds is thriving in the world today. 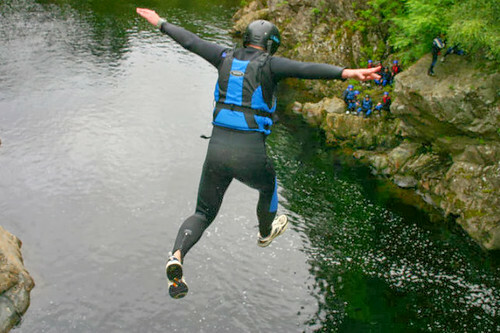 In spite of being a small village, Aberfeldy does have a lot to offer. 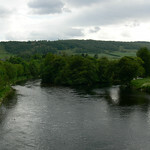 Aberfeldy lies in the bend of the mighty River Tay and about 5km from Loch Tay. 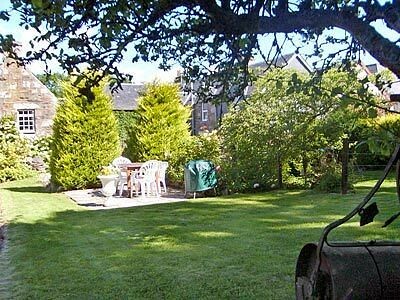 The place has historic tale which takes us back to 1715 when the Jacobite war took place. 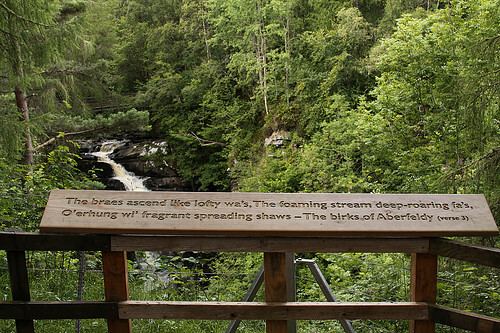 Aberfldy is best known for its Water Mill which produces stone ground oatmeal established in 1896. 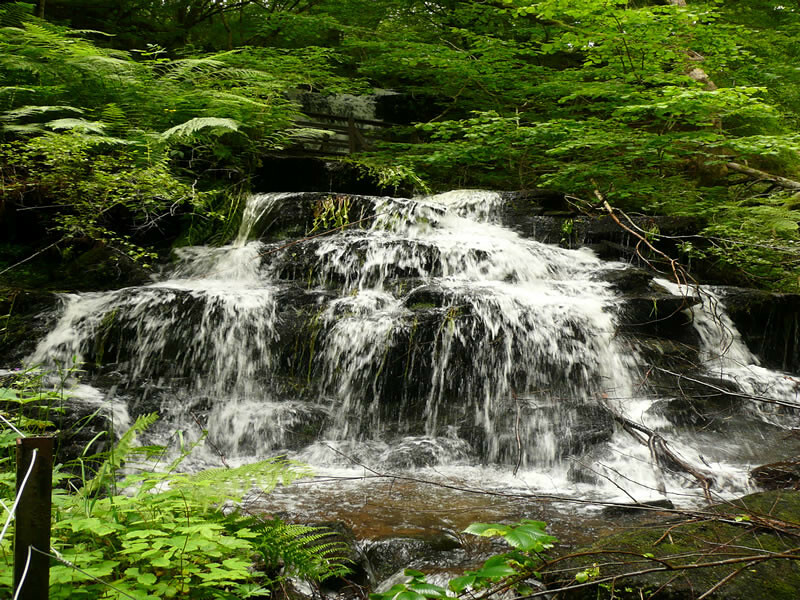 The place has a beautiful ecosystem which makes it pleasant for having a walk along the roads. 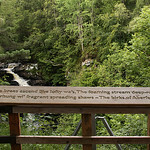 The attractions here one should check are the Moness Falls and Birks of Aberfldy. 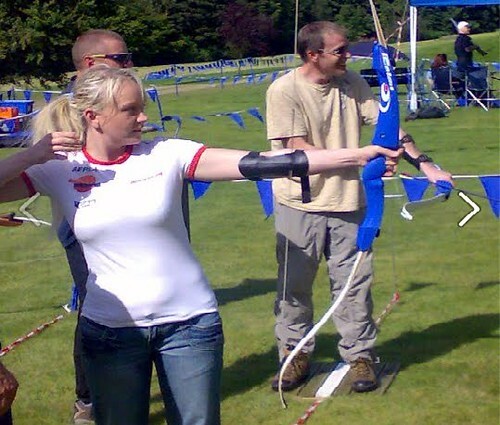 The place also offers many activities to keep one busy and enjoy spending time here. 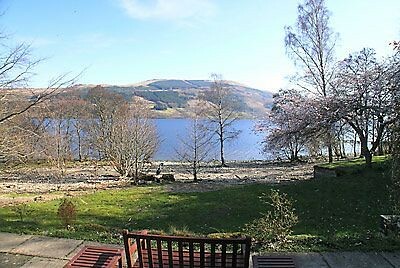 One can enjoy golfing in lush green golf courses available here, or can splash in water with the water sports at Loch Tay. 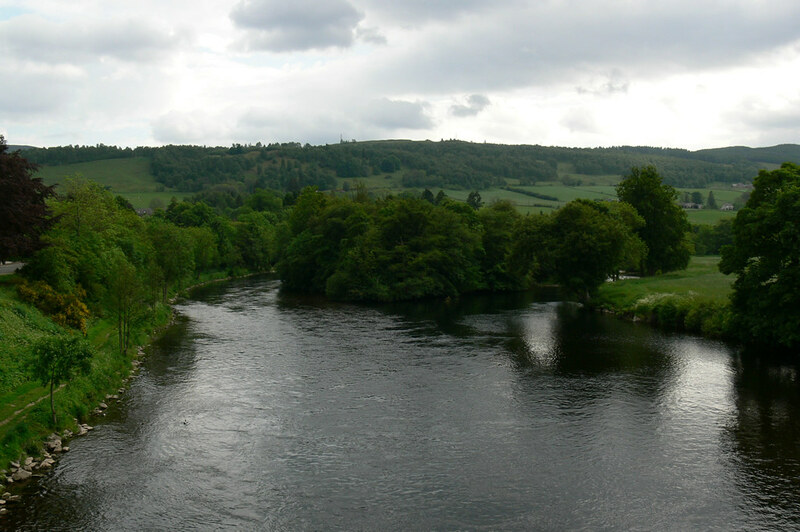 Fishing in Perthshire is another option to spend a thrilling time out here. Eating in Aberfeldy has always been fun with great choices. 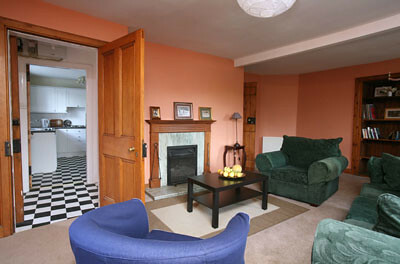 You have plenty of restaurants and cafes which cater to your greatest needs. 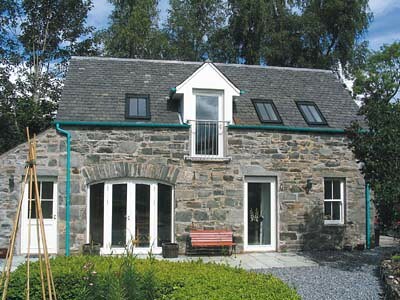 You can make advance bookings in some of the restaurants in Aberfeldy, which can be ordered by phone or email, and delivered to holiday cottage on arrival. 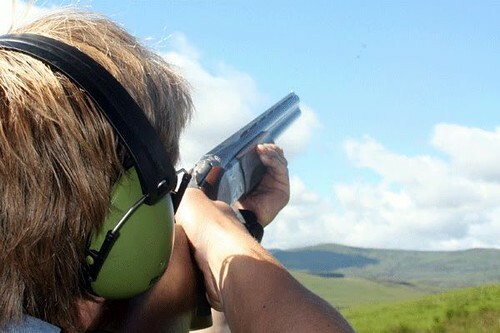 Some of the restaurants in Aberfeldy also offer a fully catered facility of freshly prepare quality cuisine to cater for your individual needs. 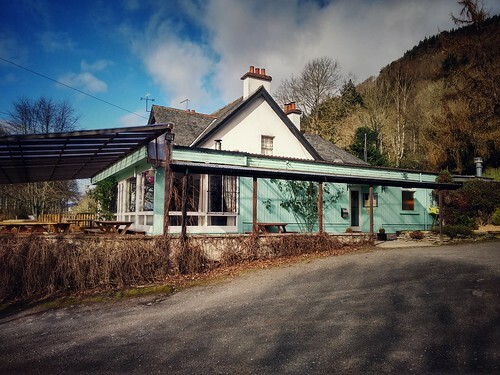 If you are doing a tour of Perthshire or a tour of Scotland, stop at The Quaich Coffee Shop which is situated in the heart of Aberfeldy, just along from the village square. Deirdre and Alan welcome you in to relax in a pleasant, friendly atmosphere and enjoy a soothing cup of coffee or tea, satisfy your hunger pangs with a snack or light meal or indulge yourself with one of the many cakes on display, while having a chat, reading a paper or just taking the weight off your feet and watching the world go by. 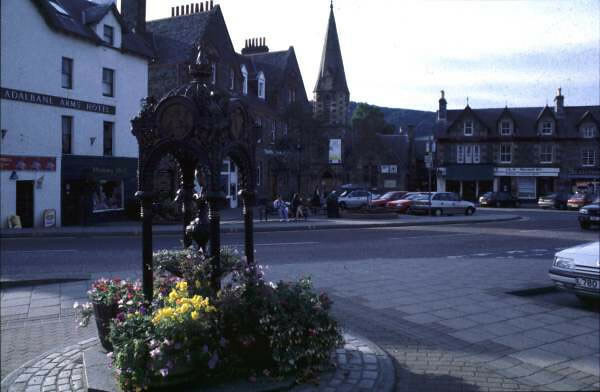 Stagecoach buses run regularly (Mon-Sat) to Pitlochry (45 mins), Dunkeld (1 1/4 hrs) and Perth (1 3/4 hrs). 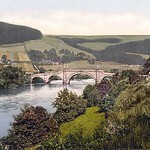 Strathtay Scottish has twice daily (except Sun) buses to Blairgowrie, via Dunkeld. 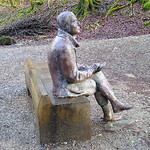 There's also a postbus service to Killin and another to Glen Lyon once a day, except Sun, Tel. 01887 820400. 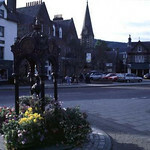 If you are in the place and looking for any kind of help, you can always visit the Tourist Information centre in Aberfeldy. 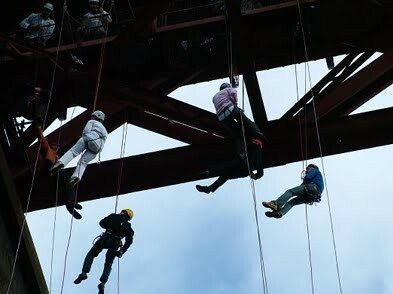 (Tel No: 01887 820276). Tourist Information Centre is housed in an old church on The Square, in the centre of town. Apr-Jun, Sep and Oct Mon-Sat 0930-1730, Sun 1100-1600; Jul and Aug Mon-Sat 0930-1830, Sun 1100-1700; Nov-Mar Mon-Fri 0930-1730, Sat 1000-1400. 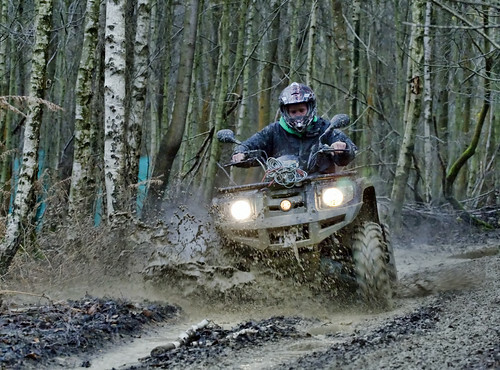 Quads experience near Perth and Gleneagles. 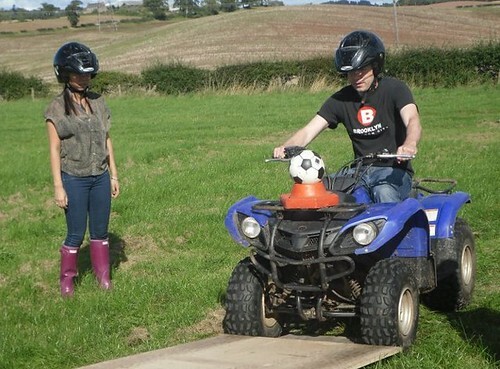 Great for groups and the landscape will soon get you expert. 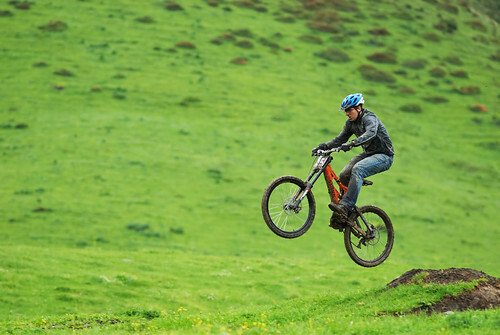 Variety of terrain to test and get your adrenalin going. 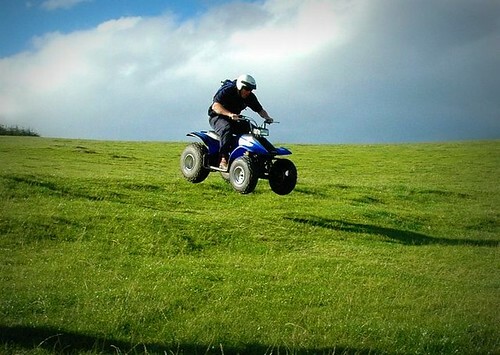 Quad bike safari across Scottish landscape. 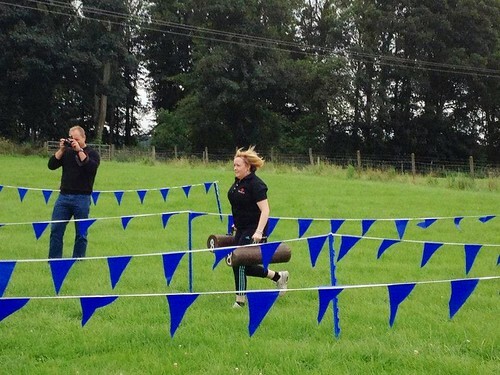 Lots of obstacles and tricky sections. We brief and guide you. 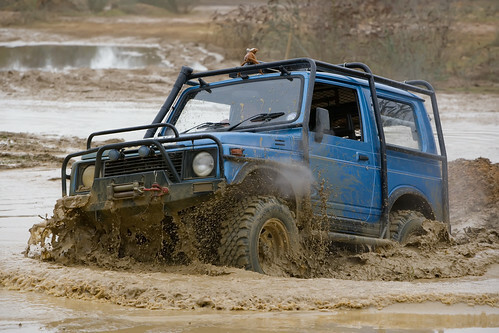 No previous experience necessary. 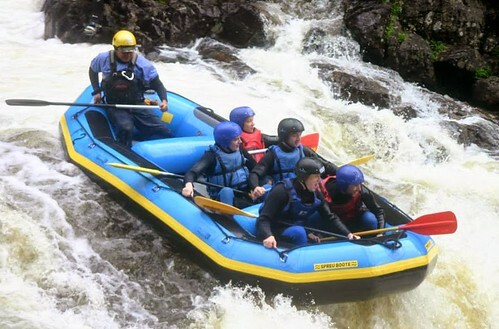 Get ready to get wet with your wet suits on for an adventurous Canoe ride Near Kenmore. The village turns out to be great for Highland Adventure Safaris (you can catch them on www.highlandadventuresafaris.co.uk, Tel No 01887 820 071) as they are one the few places where you get to see the Red Deer Rut. Get close to the action as you watch Scotland's largest animal lock antlers to establish male hierarchy and breeding rights. 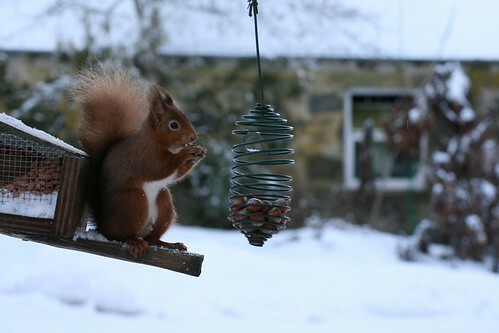 We recommend the High-Level drives from Gilmerton to Aberfeldy. (From Gilmerton, west of Perth and slightly to the north-east of Crieff, travel north through Amulree on the A822 to Cablea. 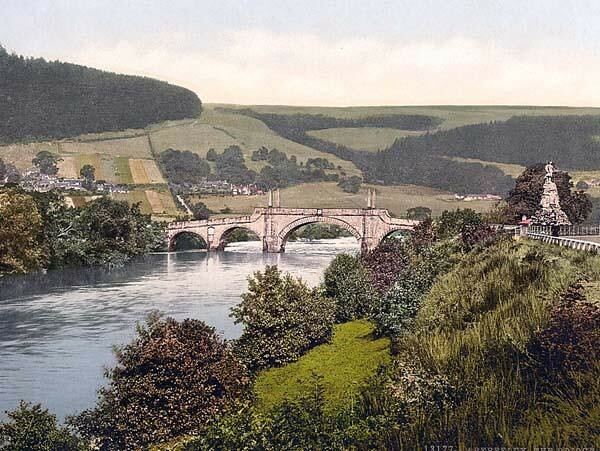 Then take the A826 to Aberfeldy). 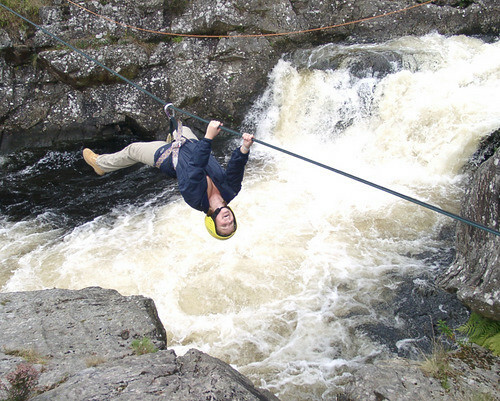 Aberfeldy is a gateway towards Glen Lyon or the local Munroes or for the local watersports and especially the white water rafting. 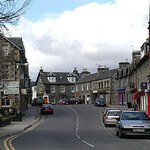 Its bustling main street contains a range of local shops including Haggarts the Tweed mill, a local butcher, a couple of delis and some local knick knack shops. The Old Mill is now a coffee shop, bookshop and exhibition space that is well worth visiting. 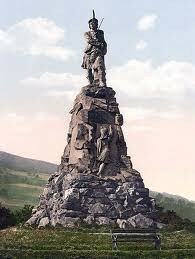 Overlooking the Wade's Bridge is the Black Watch Monument which commemorates the famous regiment becoming part of the British Army's peacekeeping force in the 18th century. 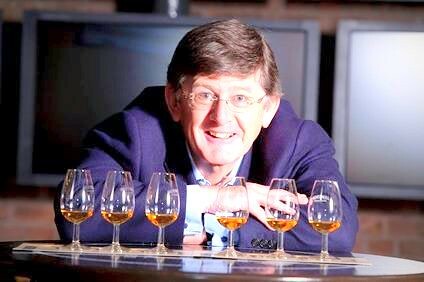 Just outside Aberfeldy is Dewar's World of Whisky, one of a new breed of distillery visitor centres. 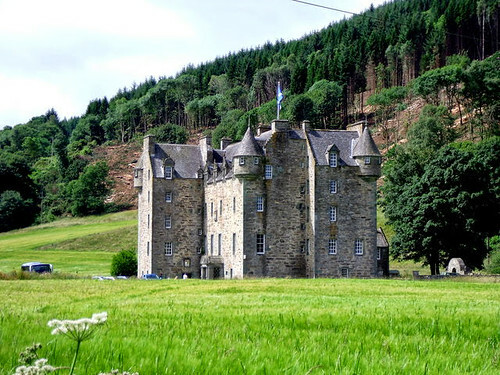 A mile west of Aberfeldy, across the Tay at Weem, is Castle Menzies, an impressive, restored 16th-century 'Z-plan' fortified tower-house. 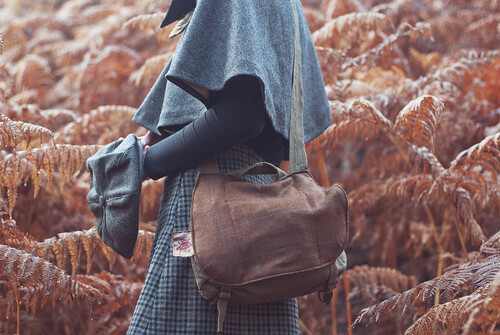 If you are an art-lover, you can spend some time at the Aberfeldy Art Gallery (http://www.aberfeldygallery.co.uk/) which showcases work of more than 80 artists from all over Scotland who take part in an ever changing exhibition of traditional, contemporary and fine art. 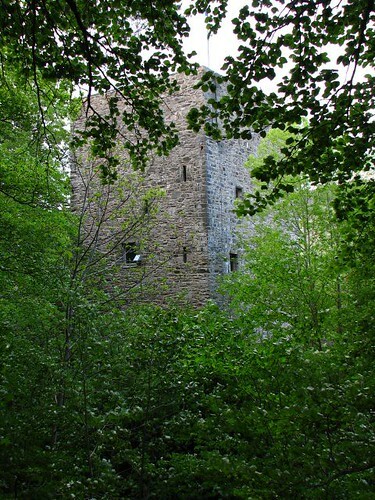 Daringly located and inacessible castle built by the fearsome Wolf of Badenoch in the 14th century. Not open. 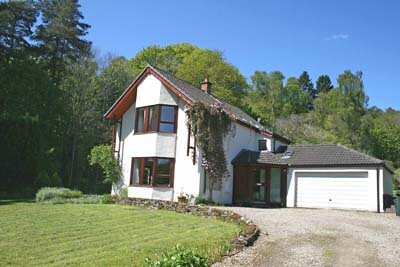 Striking Z plan in fully restored condition close to Aberfeldy. 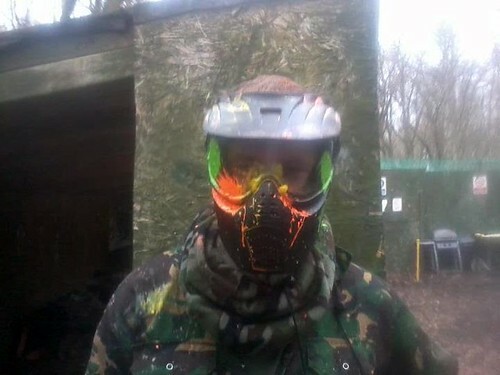 definately worth a visit. 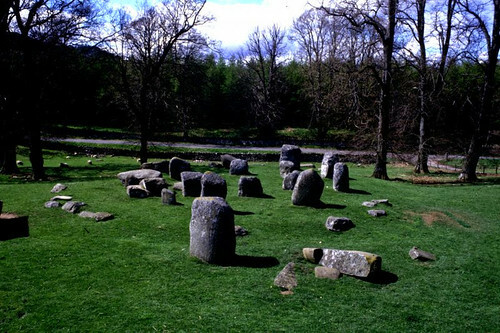 Stone Circle dating to 2nd and 3rd millenia BC. 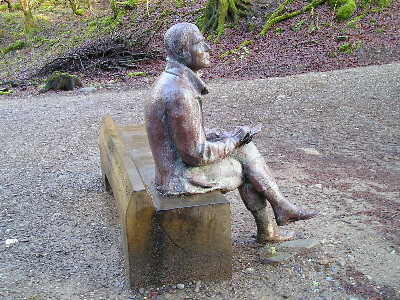 Just off the road and easy to visit whilst travelling between Aberfeldy and Kenmore. 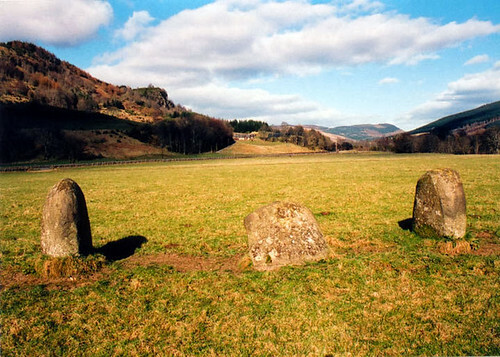 A set of three stone circles near the famous church yard at Fortingall at the head of Glen Lyon. 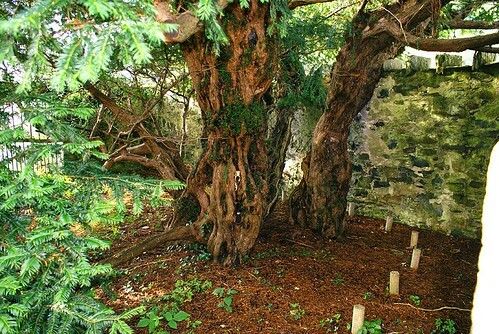 Ancient 5000 year old Yew Tree - one of the oldest living things in Europe - much despoiled but fascinating for all that. 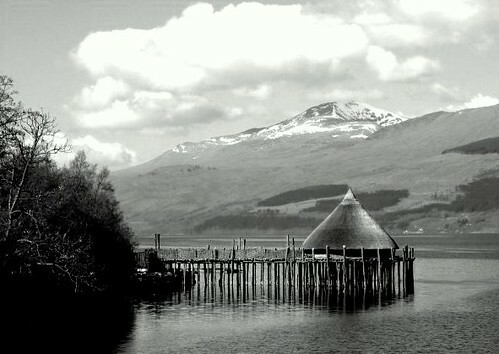 Reconstruction of brnonze age island house called a Crannog. Well worth visiting. 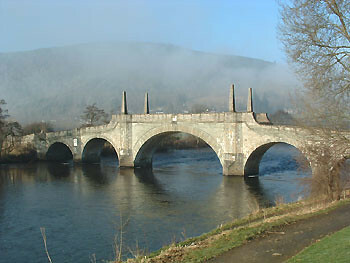 Steep stone bridge spanning the Tay built as part of campaign to connect the Highlands to allow the British army to quickly move to troublespots. 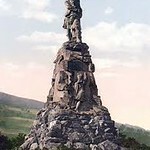 Dates back to 1773. 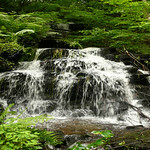 Lovely wild woodland garden near Aberfeldy that features the UK's widest conifer tree with a girth of 11 metres. Usually quiet. worth visiting. 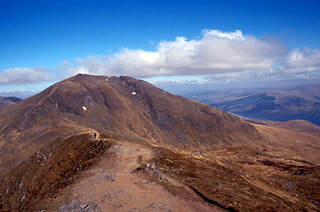 Nature reserve that starts from the visitor centre and for the fits reaches to the peak of Britain's third highest mountain, Ben Lawers. 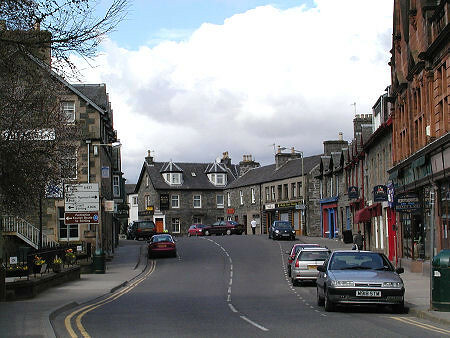 Aberfeldy is a small Scottish market town, and is located centrally in Highland Perthshire. 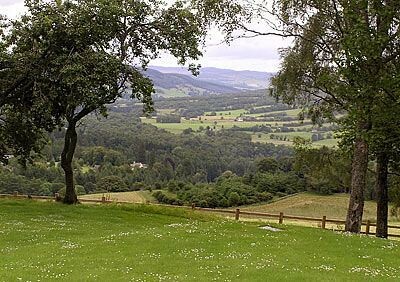 It is possible to reach both Scotland's east and west coasts in a few hours from Aberfeldy, and the town is about an hour and a half from Edinburgh and two hours from Glasgow. 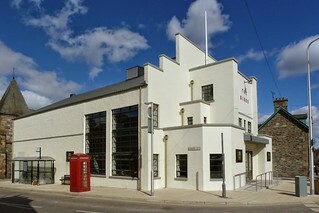 Local cinema with expansive programme that was lovingly restored by the local community. Excellent cinema in old style. Fun! 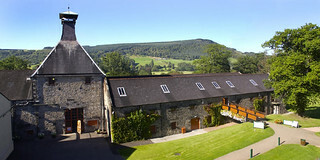 Original Johny Dewar distillery near Aberfeldy that still produces a single malt as we being blended. Includes a smart visitor centre and tour. Lovely restaurant serving local scottish food with small bar. Bit of a cornerstone of the local scene and now run by lovely Lithuanian couple. 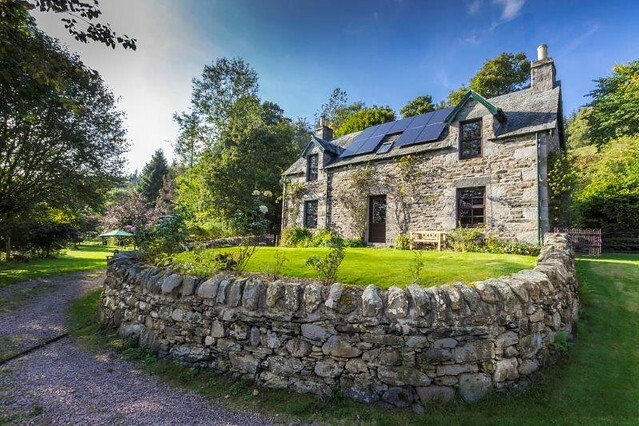 Big house for 10 people on the River Tay near bustling Highland village of Aberfeldy. 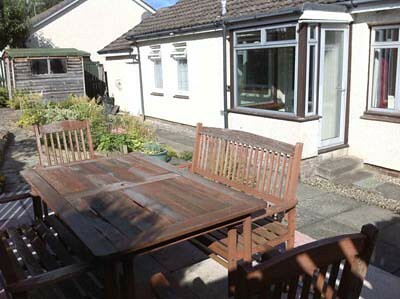 Spacious, good garden, architecturally Listed B and has a cinema room and music room!! 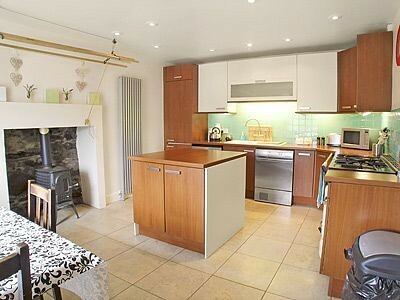 End of terrace house on the edge of Aberfeldy. 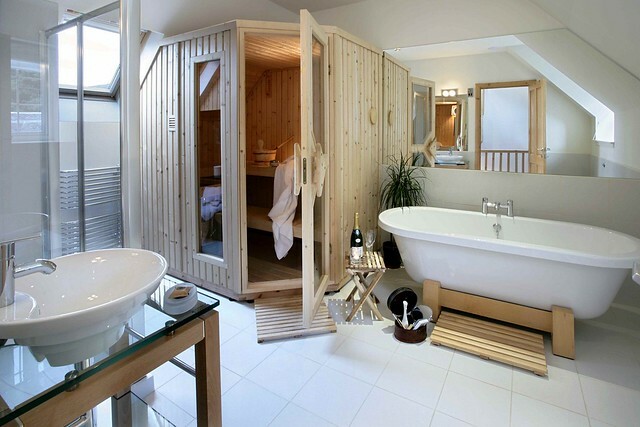 Sleeps eight people in four bedrooms. 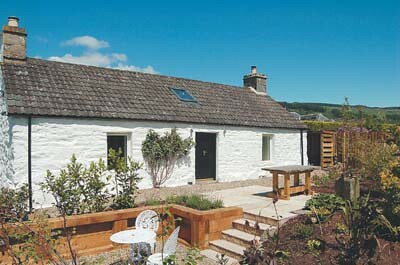 Detached cottage in popular village of Aberfeldy. 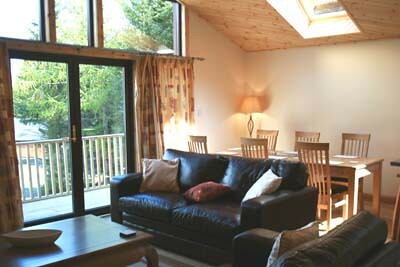 Sleeps eight people in four bedrooms. 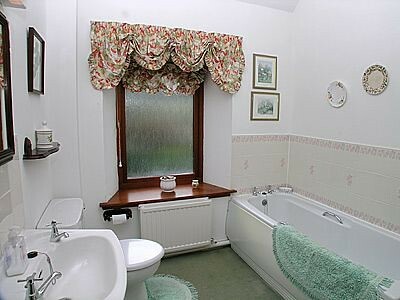 This charming coach house cottage has been recently converted from an original stable building and sits in a secluded, peaceful location within the extensive mature grounds of the owner\'s home. The ..